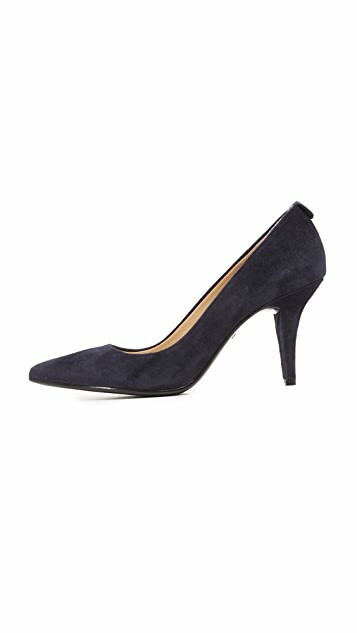 Smooth suede composes these classic pointed-toe MICHAEL Michael Kors pumps. Polished logo detail at back. Covered heel and rubber sole. Very comfy shoe and I love the admiralty color. 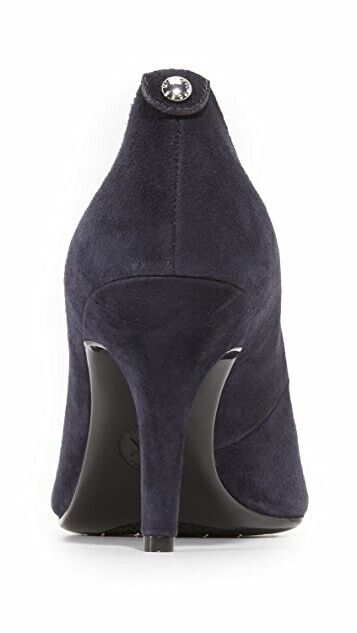 It is very close to a suede navy blue color. Elegant and goes well with everything! 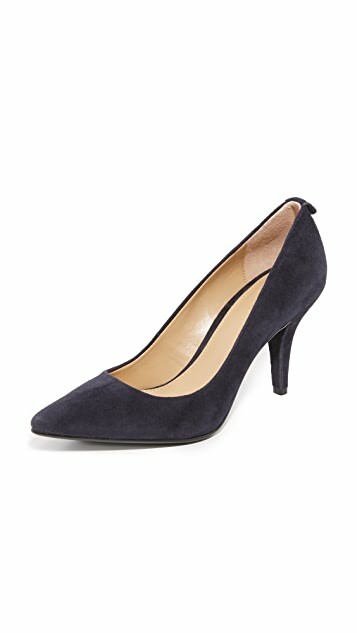 These shoes are a great height for work and going out which makes them very versatile. They are greatly priced for a good quality. I got the pearl grey color and the suede is really nice. It is a taupe grey do it goes great with navy or black. 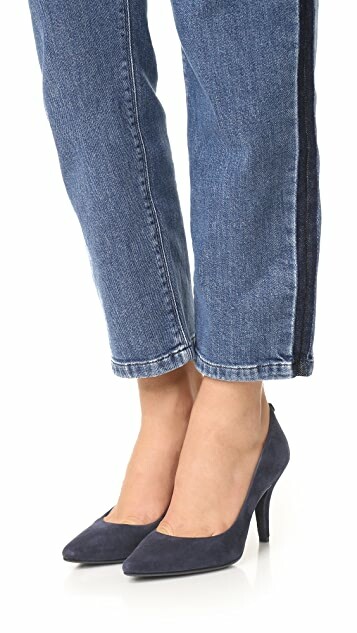 The sole has a nice rubber bottom aiding in comfort and a nonslip grip is a good asset to have in a shoe.